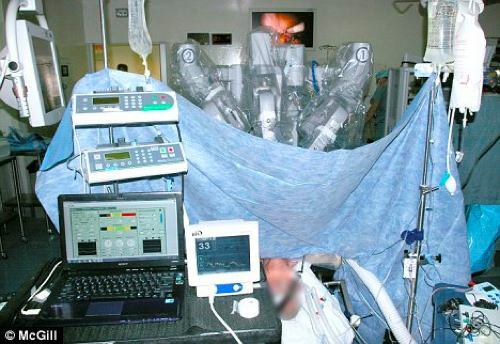 A team of surgeons at McGill University, including the da Vinci robo-surgeon and a robot anesthesiologist named, of all things, McSleepy, recently removed some dude's prostate during what is being billed as the world's first all-robotic surgery. 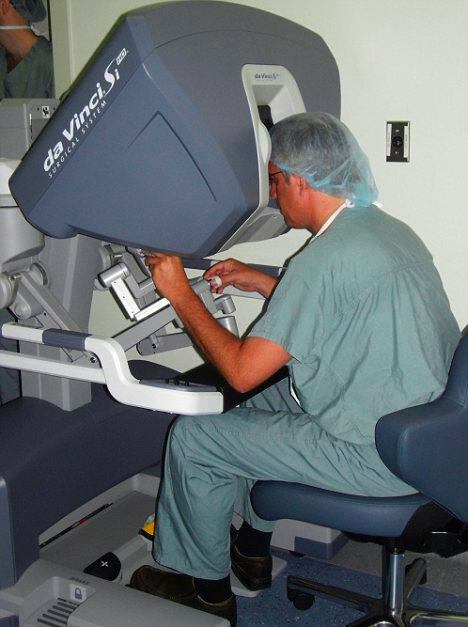 The device transmits hi-def 3D images to a nearby workstation, where it is controlled by surgeons "with a precision that cannot be provided by humans alone," according to MUHC urologist-in-chief Dr. A. Aprikian. Of course, the robots are being kept on a tight leash by their human operators, with McGill's Dr. Thomas Hemmerling pointing out that "[r]obots will not replace doctors but help them to perform to the highest standards." Just tell that to all the other medical robots we've seen in this space, eh, doc? We've heard they have plans. Bad plans. 'Glee' 'Rocky Horror' Songs Leaked! Happy Van Damme Friday: Happy 50th Birthday!!!! !